Maybe you’ve seen the long, foam tubes in the gym, but are not sure what the purpose is, or how you use it. Foam rollers are relatively new to the fitness scene and are effective in helping to prevent injuries as well as to recover after a workout. 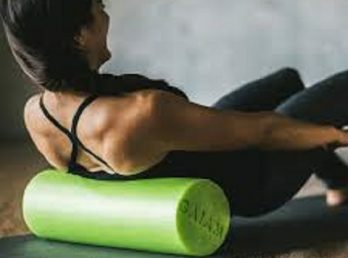 There are many different sizes and styles of foam rollers, but the purpose is the same: to aid in self-myofascial release (a.k.a. self-massage). Foam rolling helps release tension in the muscles and the surrounding tissue known as fascia, and allows for better blood flow to the muscle. This in turn, allows you to increase your workout intensity, and when used after a workout, allows for better blood flow which aides in the recovery process.